600+ Connections and 300+ Endorsements Added To Your Profile! Recruiters and hiring managers scout LinkedIn to find candidates to interview. Are they contacting you? Do you have thousands of diverse, quality connections? If a hiring person searches LinkedIn for a good candidate to fill their open job position, your profile will not appear in their search results (even if you are the perfect candidate for their position) unless you are already 1st-, 2nd-, or 3rd-level connected to that hiring person on LinkedIn. This is why a large network of diverse professionals is essential for getting noticed by hiring people. The more people you are connected to, the more search results your profile will appear in. The more search results your profile appears in, the more likely you are to get noticed and contacted for interviews! Does your profile “Skills” section look well endorsed? This is important so you look credible, popular, and professional, and skills endorsements help your profile to rank higher in search results so more hiring people will see your profile! Is your profile Search Engine Optimized (SEO) with important keywords for your profession? If you have the correct keywords for your ideal job and if they are in the right spots on your profile (the 4 spots most heavily weighed by the LinkedIn search algorithm), then your profile will rank higher in search results and it will be noticed by more hiring people! Increasing Your Job Interviews will lead to Receiving More Job Offers! 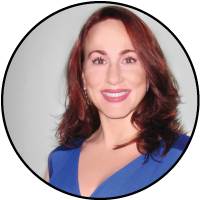 ❶ Will be reviewed by Victoria LoCascio, our company president, during a phone consultation (up to 30 minutes) to ensure that you have an error-free and impressive profile. Every section of your profile will be discussed, as well as your picture, your headline, and targeted keywords for your ideal job position. ❷ Will receive a new list of keyword categories in the Skills section. Victoria will work with you to create the perfect list of Skills categories, ensuring that your profile has the correct categories for your desired position and industry. Adding correct keywords to this section will help your profile to rank higher and have increased visibility from hiring managers and recruiters on LinkedIn. ❸ Will be first-level connected to 600+ diverse professionals who live in the United States, expanding your total LinkedIn network by more than 50 million people. Adding quality connections will help your profile to rank higher, to have more views, and to have increased visibility with recruiters and hiring managers. You will NOT be connected to people who are LinkedIn Open Networkers (LIONs), or SuperConnectors. Adding people who advertise that they are an Open Networker, a LION, or a SuperConnector hurts your credibility with hiring managers and recruiters, so you should never add them to your network. ❹ Will receive 300+ endorsements in the Skills section from professionals who live in the United States who are NOT LinkedIn Open Networkers (LIONs). 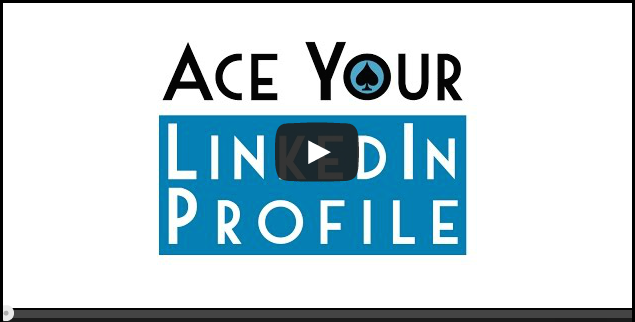 Adding quality endorsements will help your profile to rank higher and have increased visibility on LinkedIn. Also, it gives readers a much stronger first impression when viewing your profile. When we say 10–14 days or 600+ connections or 300+ endorsements, we mean it! If we don’t deliver within the specified timeframe, we will refund your full purchase price. Within 24 hours of purchasing the Boost Service, you will be emailed a link to Victoria LoCascio’s private calendar so you may schedule your LinkedIn profile review call. Call or email us before purchasing if you have any questions. There is no software that can complete this service—it is all done manually and only possible due to the quality connections and relationships built over the past decade.